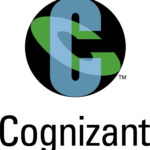 For Off Campus recruitment Cognizant uses Aspiring Minds Test. You will find all the informations related to CTS AMCAT Syllabus 2018 and Cognizant AMCAT Test Pattern 2018 on this page. Once, you’re finished reading Cognizant Syllabus 2018 page you can go to our Cognizant Preparation Dashboard for preparation, it will definitely be beneficial for you in the exam. Once you clear the above round, if you are shortlisted by Cognizant, then within a week you will get email from CTS to give AMCAT Coding Test from home. Note – You need to have a working Camera in the laptop you’re using. As the test will be proctored online. Very Imp – Many websites say these is PPT test etc, don’t trust them. There is no PPT test, their syllabus page for CTS is same for the last 6 years, after this there are only 1 interview round that covers both technical and HR. Time given is 1 hour and you have to solve both questions in any of the following languages – C, C++, C# or Java. CTS Interviewer will try to keep the Technical Round to basic C programming Codes(Find on CTS Coding Interview Dashboard), Basic theory and definitions and Focus more on your English. For TCS it ranges anywhere between 30 mins to 45 mins, for Tech Mahindra it may be an hour or more. But, Cognizant, TCS, Wipro will ask you coding questions like Palindrome, pattern printing etc even if you’re from Non CS IT round. Cognizant will necessarily ask some basic C / OOPS concept to all Branches. Well, you’re applying to an IT company they expect you to know a little about C / OOPS theory. All bulk companies, including Cognizant, give freedom of topic selection to you, generally the interviewer will ask you the favourite subject and will ask questions from that, or will ask you the questions from topics, chapters and projects mentioned in your Resume.